RB, Waffle, Mozza, & Coney are now in CYBERJAYA. 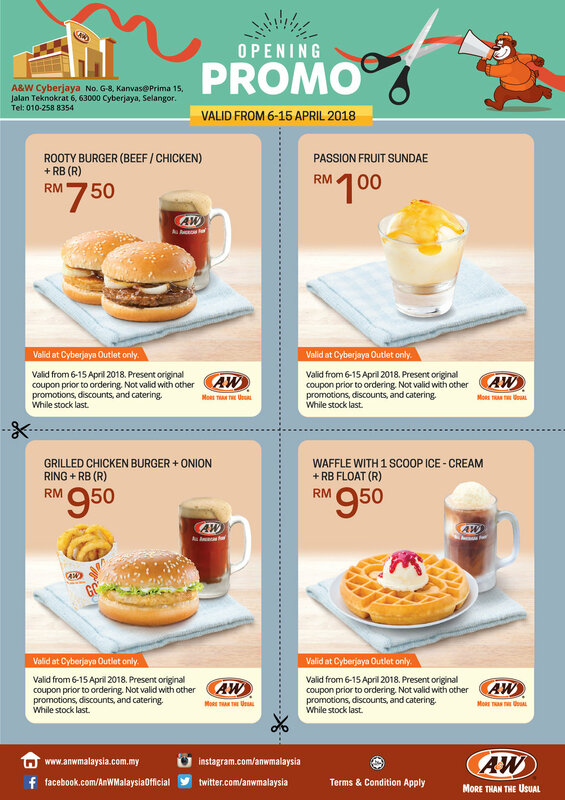 A&W Cyberjaya is now open to all! Come and enjoy our opening promotion and FREE RB (R)!